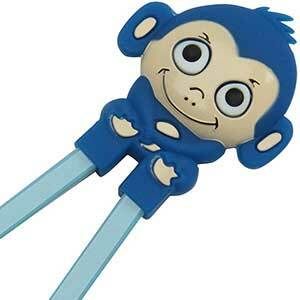 We have chopsticks for kids in a variety of fun and colorful styles. 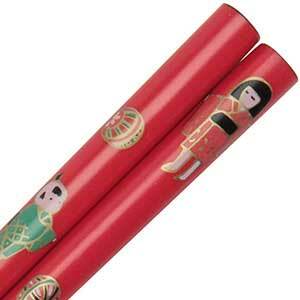 These child chopsticks are for smaller hands and are between 5.5 to 6.5 inches long. Kid's chopsticks are also the perfect size for hair sticks. 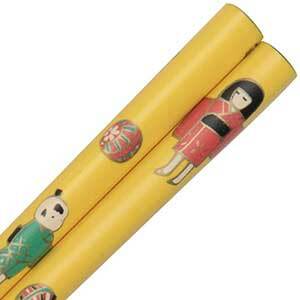 Children's training chopsticks help your child learn to use chopsticks. Most training chopsticks have removable assists, allowing the chopsticks to be used as normal, un-aided chopsticks, and for easy cleaning. Most are dishwasher safe. Fun! Chopsticks with the figure of pteranodon. 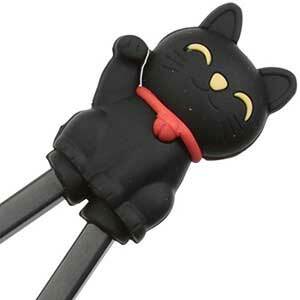 Made by Kotobukiya with hand painted details, these orange plastic chopsticks are a big hit at any meal. 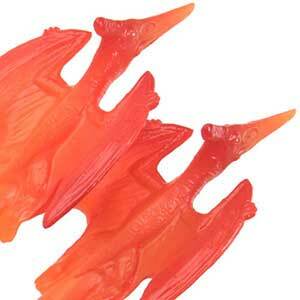 Pteranodon Dinosaur chopsticks are about 9 inches long. Made in China. For ages 14 and older. 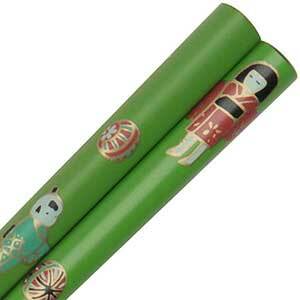 Bright green chopsticks Girl and Panda Childrens Chopstick. 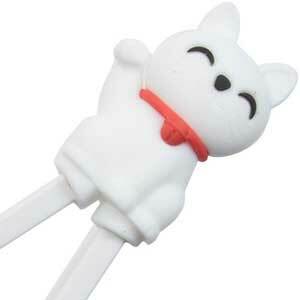 Can be used for children as well as a beautiful hair stick. 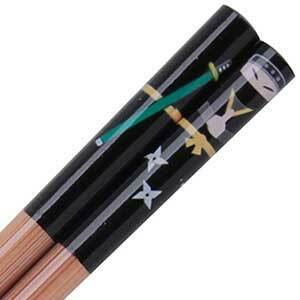 Round wooden chopsticks with smooth tip. 6 1/2 inches long. Made in China. Close attention was paid when recreating this iconic weapon from the star wars series. 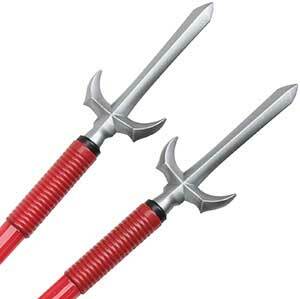 Kylo Ren's light saber is modeled by famous Japanese toy model company Kotobukiya, these chopsticks accurately resemble the lightsabers from the Star Wars movies. 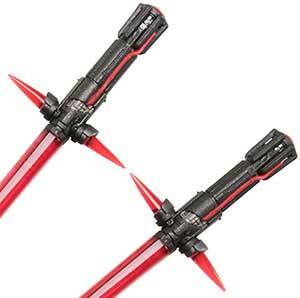 The red blades are representative of the dark side of the force. 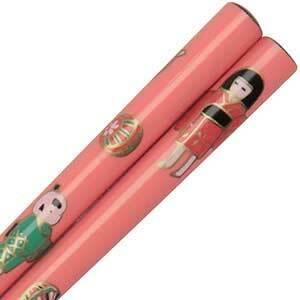 Chopsticks are 9 inches long and made in Japan. For ages over 14. 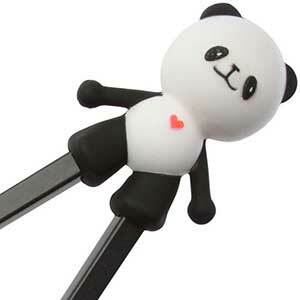 Pink childrens chopsticks with a Girl and Panda. Can be used for children as well as a beautiful hair stick. 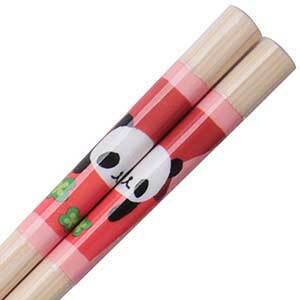 Round wooden chopsticks with smooth tip. 6 1/2 inches long. Made in China. 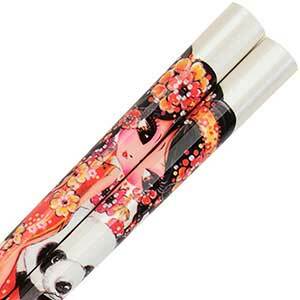 Red childrens chopsticks with a Girl and Panda. 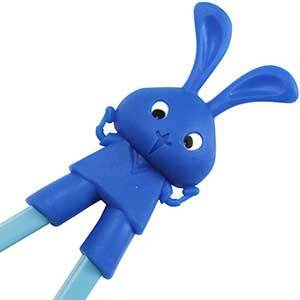 Can be used for children as well as a beautiful hair stick. 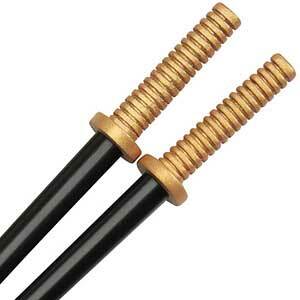 Round wooden chopsticks with smooth tip. 6 1/2 inches long. Made in China. 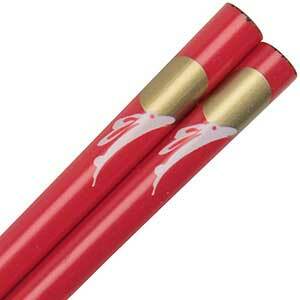 Red Childrens Chopstick with Rabbit and Moon. 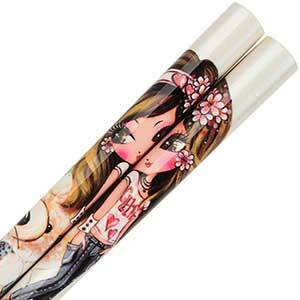 Can be used as a childrens chopstick as well as a beautiful hair stick. 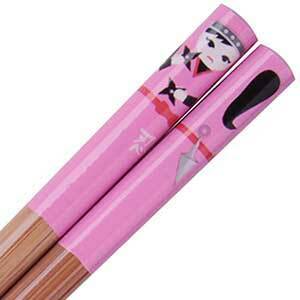 Round wooden chopsticks with smooth tip. 6 1/2 inches long. Made in China. Samurai sword chopsticks modeled after the unusually long sword of Kojiro Sasaki, referred to as "The Laundry-Drying Pole." 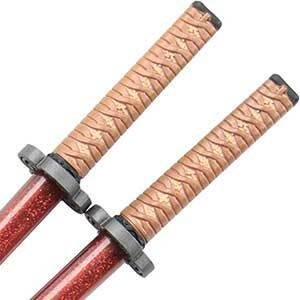 As such, these chopsticks are 9-7/8 inches long, longer than the typical 9 inches. History says Sasaki fended off three opponents, was chief wepons master of the Hosokawa fief north of Kyushu, and was defeated by long-time rival Miyamoto Musashi. 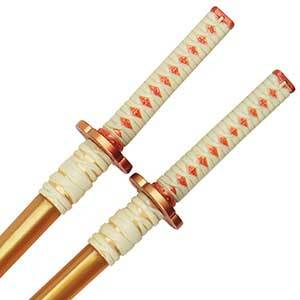 Set includes a display stand for these unusually handsome gold chopsticks. Made in China. 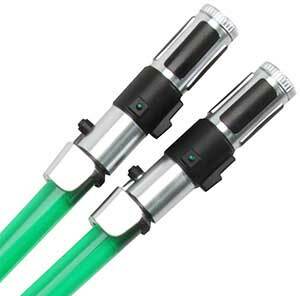 Green lightsaber chopsticks that actually light up! Conquer the universe and your meal! 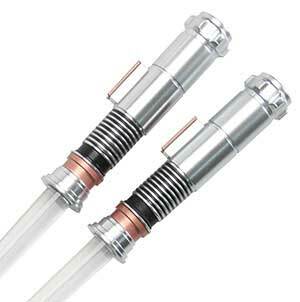 These lightsaber chopsticks are the replica of Luke Skywalker's EP6 lightsaber and glows green. 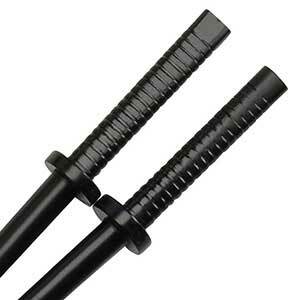 All Luke Skywalker chopsticks are 9-3/4 inches long. Made in China. For ages over 14. 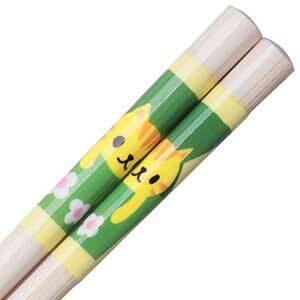 Bright yellow childrens chopsticks with a Girl and Panda. 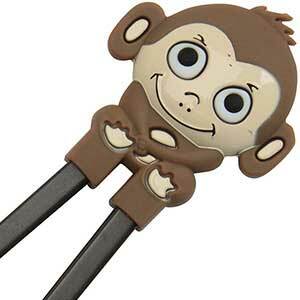 Can be used for children as well as a beautiful hair stick. 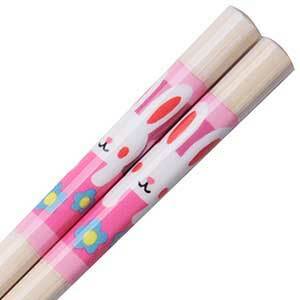 Round wooden chopsticks with smooth tip. 6 1/2 inches long. Made in China. [Eat your vegetables you will] with this iconic weapon from the star wars series.Yoda's light saber is modeled by famous Japanese toy model company Kotobukiya,these Yoda chopsticks accurately resemble the lightsabers from the Star Wars movies. 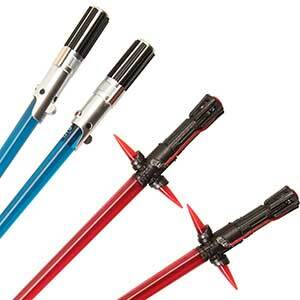 The blue and green blades are representative of the good side of the force. 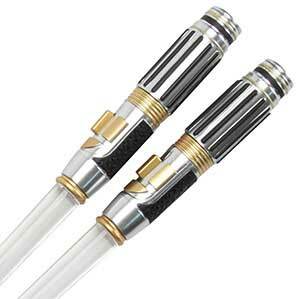 Star Wars lightsaber chopsticks are 9 inches long and made in Japan. For ages over 14.